A pano of the Tad Lo waterfalls on part of the motorcycle loop. I heard of the motorcycle loop from a friend of mine who had done it before and said it was the most fun thing they did in Laos. Well I agree with them. There are so many incredible waterfalls along the way that it makes it so worth it. I only did the small loop and not the big loop, but still it was worth it. 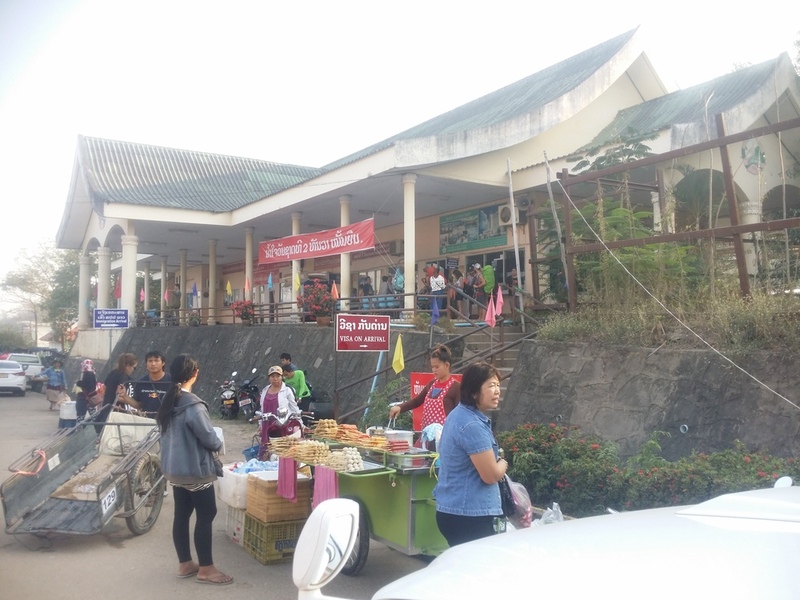 After arriving in Pakse, a town just next to the Thai border and the starting point of the motorcycle loop. There's a Malaysian and Indian food place there called Jasmine Cafe across the street from Lankham Hotel, where you can get a private room for 100,000 Kip per night. There's also a really good yellow noodle joint and pho noodle place across the street from Lankham Hotel as well. Both are really, really, really good. Overall I have to say that the food in Laos was quite good. There was a chili and sweet basil minced chicken dish that I fell in love with...so dam good. My #1 favorite meal I had in Laos. I don't know the name in English, but once I showed the picture they knew. There’s a famous place called Miss Noy that most people flock to rent motorbikes, but the shop two doors to the right offered motorbikes for cheaper and I still had a great time. The only thing that Miss Noy does differently is make a list of potential routes for you to go. However, there are plenty of routes and information online that looking into Miss Noy simply for that would be a waste of money. Oh I got my semi-automatic Honda Wave 100cc for 50,000 Kip a day. I visited the Tad Lo waterfalls in the north and stayed at the Green Garden. Green Garden was a super chill guesthouse run by a Czech Expat named Martin. The place was so calm and relaxing. This shot here really just captured the beauty of Laos for me. Chill people and chill vibes. Afterwards I headed south with to the set of waterfalls down there and thoroughly enjoyed jumping in and swimming around Tad Yuang. Extremely refreshing after driving for a while, and I felt like I took a shower. The water really did feel cleansing. At first I was disappointed I had to pay to enter the waterfalls after seeing a group of Lao people enter for free. However, once me and another friend I made were the only two people swimming around in the falls it made it totally worth it. It was like our own personal waterpark. I spent a day back in Pakse before heading to Bangkok. The last border crossing I did to leave Laos. I had to pay this unofficial fee of 10,000Kip or else they won’t give your passport back. 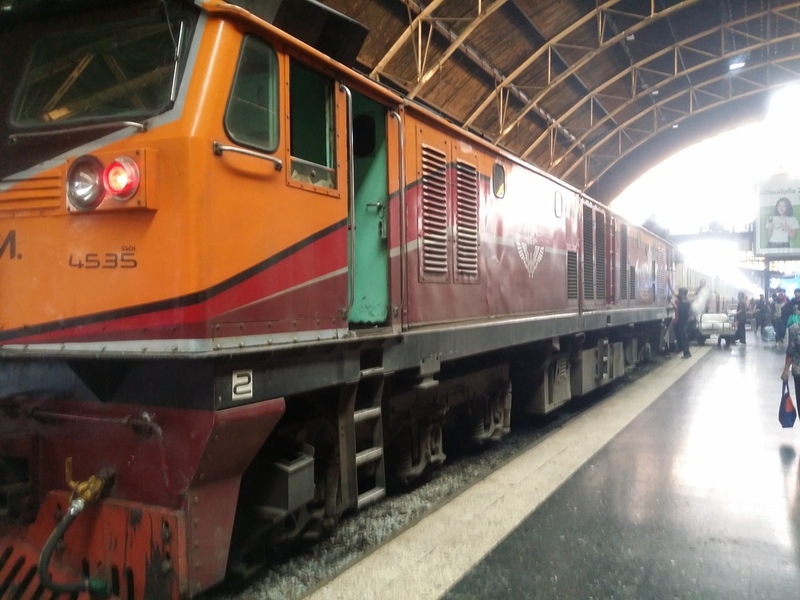 I took an overnight train from Ubon Ratchathani to Bangkok. My first train ride in Southeast Asia so far and it wasn’t too bad, minus the fact they don’t turn off the lights and the windows don’t close all the way. So you need to bring earplugs and an eye shade. Sadly I didn’t do any trekking in Laos. The main reason was I didn’t want to go with a paid group for $100 and the trekking paths are rumored to be riddled with unexploded cluster bombs thanks to my country…The United States of America. Sad truth about all those dam bombs that the USA government doesn’t wanna do anything about. Anyways in a few days I head to Vietnam…the main reason for my whole Asia trip. I’ll be like the guys from Top Gear and make my dream come true! If you like what you read and saw then LIKE, COMMENT, and SHARE! Till next time Peace OUT!